This is what I've learnt from starting brynux. Firstly let me give you some background to why I'm creating new startup companies like brynux. To create recurring income from people topping up their accounts with their credit card. To create a fully automated online business. To create a business that doesn't require any personal support like Google does. MySMS doesn't make a lot of money and I didn't expect it would but it has achieved all of it's business goals. The only time I get reminded it exists is when I get notified that someone has topped up their account to send more TXT messages. However, the real value of the exercise was that I proved that I could create a business that creates recurring income without the need of staff. I'm now applying what I learnt from that project to my new projects. HBR's 10 Must Reads on Strategy (including featured article "What Is Strategy?" Did lot's of web browsing researching what businesses were succeeding online and why. It has to be able to be used by at least one million people. From experience I've learnt that I don't like selling an expensive product to just a few customers. It requires lots of human hours and the intellectual property is owned by the customer. Instead, it's better to target millions of people and charge a very small price to achieve the long tail effect and recurring income. The Minimum Viable Product (MVP) needs to be developed quickly so it can be tested with clients which will change the product - I'll demonstrate how this happened with brynux shortly. It needs to be part of my personal digital ecosystem and improve my webutation, brand, revenue and knowledge. Companies like Macintosh have great digital ecosystems such as the combination of iTunes, iPhones and iCloud but a new shift that is happening on the Internet is that people are now creating their own personal digital ecosystems that include webutation, publications likes blogs, books and their products such as training and online tools. Everything I create such as Spinning Planet Limited, brynux or even my courses are all part of my digital ecosystem that is enveloped by Intergalactic Investments Limited. Spend no more than $1,500 to build the Minimum Viable Product and promote brynux and not move to stage two of development until 50 units are sold. Learn how to work with an International manufacturer to create the brynux stick, import and distribute. Practice continual deployment that uses input from customers to improve the product. 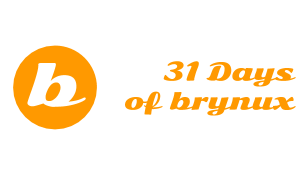 Create a community version of brynux that can be downloaded for free to help promote the use of Open Source software. Choose a good overseas manufacturing partner. The first place I purchased USB sticks from sent me dodgy sticks. I ended up finding a manufacturer that supplies sticks to companies like IBM and the service and communication from them has been excellent. Costs a little bit more but well worth it. The manufacturer suggested a new type of USB stick that can also be plugged into smart phones and tablets which helps differentiate brynux. I found out that Microsoft was stopping support for Windows XP in April 2014 which makes brynux an excellent alternative for customers that don't want to upgrade to Windows 8 so I'll be marketing brynux again in April. From customer feedback I've added additional software and better hardware support. Most people didn't know if they needed the i686 version or the x86_64 version of brynux so I've now integrated both of them on the brynux stick which makes it compatible with all Intel based PCs. I've learnt that you can't trust International shipping and need to package very securely because one of my customers just received the packet that had been carefully cut open and the stick stolen. Even though the brynux stick is less than a centimetre thick it still counts as a package so shipping costs a lot more. The next version of brynux (Nano Brynux 64G) will be a lot smaller. From my discussions with friends and users of brynux a common statement was that schools should be using brynux so now the Palmerston North Linux Group (PLUG) is going to create a free computer suite for a local school or community project that will use brynux as it's operating system. Rob Edwards from Aspire Videography is going to make a documentary of PLUG creating the brynuc computer suite. To automate the brynux business I've created a program that does all of the tasks needed to create brynux such as compiling, formatting sticks and testing. I have a number of other projects in the pipeline and when they're released I'll update you on those too. If you have any questions please freel free to contact me.